The announcement of tax changes in the Scottish Government’s draft Budget led to a flood of comment from rival politicians in Scotland. Finance minister Derek Mackay unveiled a major reform of income tax, with a new five band system which sees the highest earners contributing more to the public purse. Ferret Fact Service take a look at the facts behind Budget claims from across the political spectrum. The income tax plan sees a new starter rate of 19 per cent for those earning between £11,850 and £13,850. Those earning above that up to £24,000 will pay the same basic rate of 20 per cent. For Scots who are paid between £24,000 and £44,273, an intermediate rate of 21 per cent would take effect. Higher earners up to £150,000 will now face a 41 per cent tax, while those in the top tax bracket above pay 46 per cent. This new system would raise around £164m extra in revenue for the Scottish Government, according to forecasting from the Scottish Fiscal Commission. However, Scottish Labour MSP James Kelly took to Twitter to argue that in fact the additional taxes would raise just £64m. This comes from the estimated cost of tax cuts for business which were also announced. 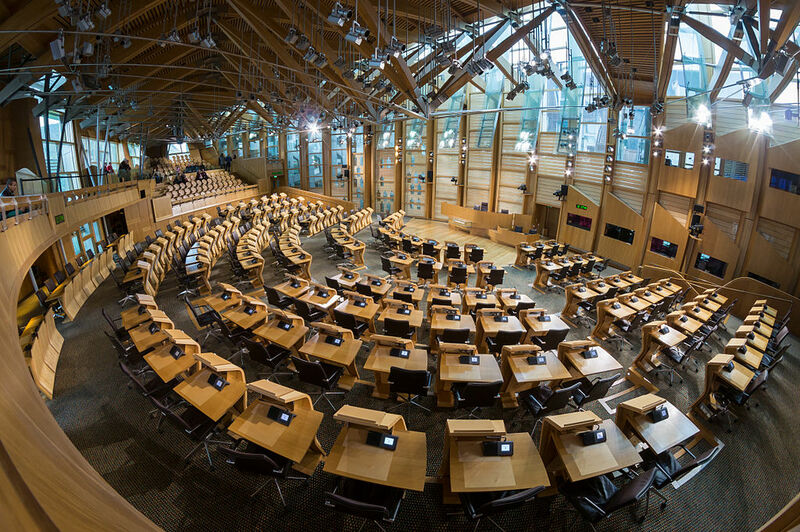 These are detailed in a research briefing from the Scottish Parliament Information Centre (SPICe), with a number of measures from a recent review of business growth. They include a year long delay on the tax increase when a business property is expanded or improved, or before rates apply to a new build property. This will cost the Scottish Government an estimated £43m. A lower rate used to measure inflation-tied increases for overall business rates will also mean a reduction of £24m. An extension of the transition cap on business rates for offices and many hospitality properties in Aberdeenshire will reduce revenue by £15m, as well as tax relief on day nurseries and hydro properties, and expansion of other rates relief brings the total estimated cut to businesses to £96m. This means that around 60 per cent of the revenue from the new income tax system will be offset, and the overall gain from taxation will be an estimated £68m. James Kelly suggestion that the tax changes will raise only £64m is approximately accurate. While according to SPICe estimates his sums are slightly off, it is true to say that much of the money raised from the new tax will be lost in the cuts to businesses. A Nat Tax on anyone earning over £24 grand. There has been some confusion over exactly where the increases in tax will kick in. Media reports and politicians have cited both those earning over £24,000 and £33,000 as facing a tax hike. So who is correct? Previously Scotland had three tax bands in line with the UK. This meant those earning more than the personal allowance up to £45,000 would pay 20 per cent income tax, then 40 per cent for wages above £45,000 to £150,000, where the rate became 45 per cent. In the new system, £24,000 is the salary at which you go from 20 per cent to 21 per cent. However, this does not mean a tax rise for all those over that wage. Research from SPICe found the individual tax liability will be lower compared to last year for all those earning up to £33,000. This was also confirmed by projections from the Institute of Chartered Accountants (ICAS) which analysed the new tax bands. It found that those earning £24,000 would be £90 better off compared to last year, and would have £20 more than those in the rest of the UK on the same wage. According to ICAS research, Scots start to be taxed more than their counterparts south of the border at around £30,000, although workers would still be taxed less than they were in 2016/17, partly due to the UK-wide tax changes. Analysis of the new system estimates that increases in tax compared to last year will effectively kick in at £33,000 rather than £24,000. Workers across Scotland are going to have to pay more tax than those in the rest of the UK. The Scottish Conservative leader went further in her criticism of the Budget, arguing that Scots workers would pay more than the rest of the UK. Her claim is all about the wording. It is true that some people in Scotland will have to pay more than their English counterparts, but there are also a significant number who will pay less. All of the higher rate taxpayers and the 20,000 top rate taxpayers will pay more than their counterparts in the UK. Overall, 1.4 million people will receive a tax cut, while 1.16 million will pay more. Davidson’s statement is misleading. While some workers will have to pay more than those elsewhere in the UK, according to estimates the majority will pay the same or less. Within the new tax brackets announced by the Scottish Government, there are some variations for different earners. The five band system broadly means higher earners pay more while those at the lower end pay less tax, but the new system also gives an effective tax cut compared to previous years to some earning significantly above the average Scottish wage. However, the increase in the higher rate means that if your wage is between £43,525 and £58,500, you will see a reduction in income tax in 2018-19. This is partly down to the increase in personal allowance – the amount of income you don’t pay tax on – from £11,000 to £11,850. This is still set by the UK government. Scottish Labour’s claim is correct. The way the banding system is set up will lead to an effective tax cut for some people on above average wages. One of the major claims around the Budget was whether the SNP had broken an electoral promise in announcing the new income tax system. This was argued by a number of opposition MSPs, but the truth is slightly more complex. In the SNP manifesto for the 2016 Scottish Parliament election, the party promised to “freeze the basic rate of income tax throughout the next Parliament to protect those on low and middle incomes”. The new five-band system means the end of tax bands set at 20 per cent, 40 per cent and 45 per cent as they were previously. The new proposal would see taxes paid at 19 per cent, 20 per cent, 21 per cent, 41 per cent and 46 per cent. In technical terms, the SNP has not changed the 20 per cent “basic tax rate” as promised in their manifesto. Instead they have moved a significant number of taxpayers out of this bracket into higher and lower additional bands. This means that effectively, many Scots with higher salaries who were previously in the basic rate band will pay more as they move into the “intermediate” rate of 21 per cent. However, many will see their tax bill mitigated by the increased personal allowance set by the UK government, as previously mentioned. While the SNP has technically kept the basic rate of tax the same, the new system takes many Scots out of this bracket. According to SPICe, the estimate for Scots who will pay more tax after the income tax changes is 771,000. The latest figures for nurses show 56,468 in posts in Scotland, while the Scottish Government says there are 17,250 full-time police officers. Since rail travel is privatised, accurate numbers of train drivers are not available, but the Office for Rail and Road found there were 4,907 people working for ScotRail, which handles Scotland’s domestic rail services, last year. However, many of the nurses in Scotland will not face tax rises as they will still be under the threshold for increased contributions. The removal of the public sector pay cap, also revealed in the draft budget, will also have an impact on this. However, even with more nurses being brought into the higher tax bracket, there will be far fewer nurses, police officers and train drivers affected by the changes than the 393,000 suggested by Dean Lockhart MSP. Ferret Fact Service verdict: FFS! These figures seem to bear no relation to any official statistics, and vastly overstate the numbers of nurses, police officers and train drivers.